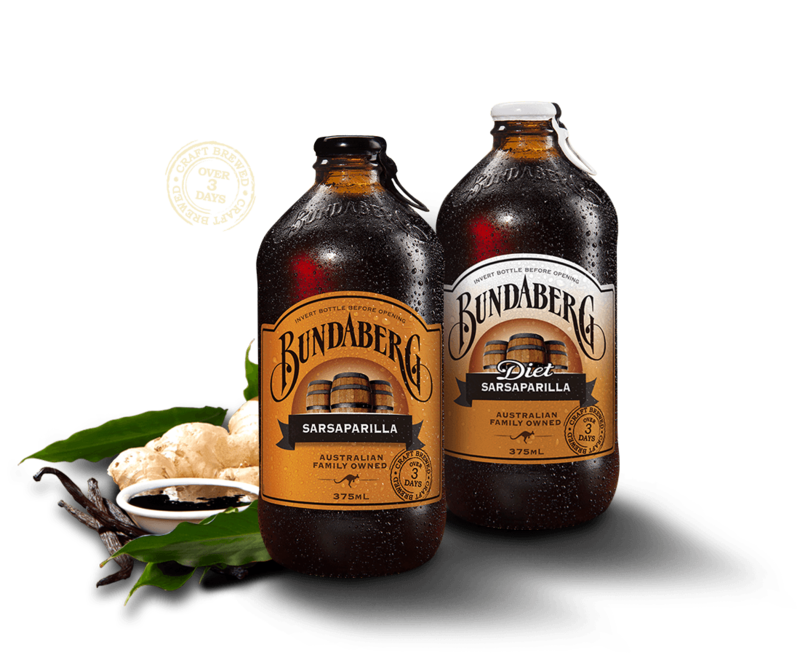 Brewed for over three days to extract maximum flavour our Sarsaparilla delivers a nostalgic experience like no other. Enjoy straight from the bottle, over ice, or mix it up by adding some fresh lime and mint for a flavour infusion like no other. Ingredients: Carbonated water, cane sugar, sarsaparilla brew (water, sugar, molasses, ginger root, sarsaparilla root, licorice root, vanilla bean, yeast), colour (caramel IV), acids (malic acid, citric acid), flavours, preservatives (202, 211), sweeteners (951, 950, 955), antioxidant (ascorbic acid), stabilisers (412, 415). Contains Phenylalanine.